Newsletter #495 – What Makes a Great Team? 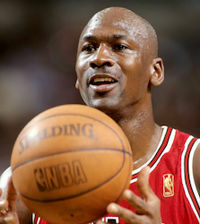 Especially in the early years of his career, basketball star Michael Jordan was criticized because he dominated his team and often ignored the other players as he ran up points largely on his own. When his coach complained, apparently Jordan responded with this: “There may not be an I in team but there is in win.” In a new book by Mark DeRond, the author summarizes research about high performance in sports, business and other team relationships. 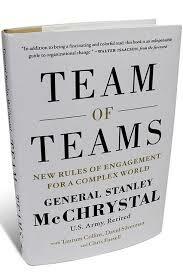 The book, There Is an I in Team has relevance beyond athletic and business teams. Here are empirically-based highlights that you may find interesting. A basketball team without superstars rarely makes it to the playoffs, let alone the finals. Winning is more likely when there are superstar team members. Qualities that make team members gifted also make them wearisome as team members. Superstars are “extraordinarily focused” along with their unusual competence but this also leads to perfectionism, paranoia, discontent, big egos, impatience and irritating behaviors that make them difficult to work with. Harmonious relationships actually can hurt team performance. Without internal competition teams may underperform. Competition weeds out inefficiency. More important than harmony is the ability to trust and rely on one another when there’s a common goal. There is a key to effective teamwork: if each person is capable, give them something to care about more than themselves. Money matters. Payroll and performance are highly coordinated. In selecting effective team members, a coach or team leader’s intuition often is a better predictor than objective measures. Restlessness and discontent are the “single most distinguishing features of high performers.” Despite their bravado, many superstars experience an “imposter syndrome,” mystified by their own success, feeling like a fraud, afraid they are not as good as everyone believes. Much of this is both fascinating and controversial. Please leave a comment. Does anyone besides me sometimes experience the imposter syndrome?